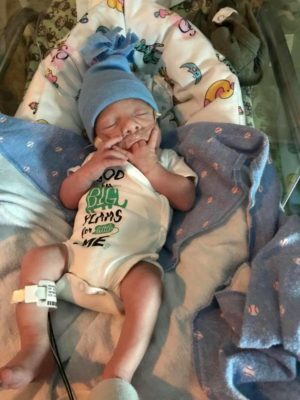 Myles was born at 30 weeks when his mom’s water broke unexpectedly. He weighed 3lb 7oz. Mom and Dad were busy trying to juggle work, two older siblings at home, and traveling 2 hours one way to get to the NICU to visit Myles. They could not have been more happy when this little guy finally got to go home!